Kogan, the young upstart that once offered small Linux-based notebooks under its own name, has re-entered the laptop market with a budget 15.6in model that runs Windows 8.1. 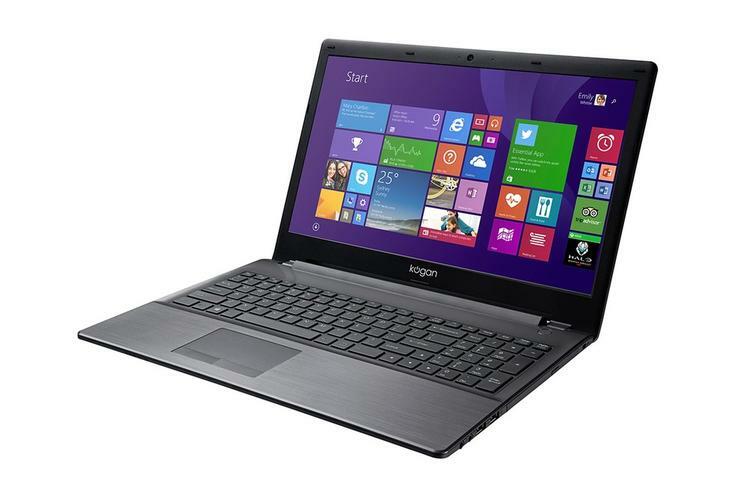 It’s called the Kogan Atlas X1510 Laptop, and it has a cost of $329 plus delivery. It will ship from the warehouse on 15 December, which should be enough time to get it for someone for Christmas. On the surface, it looks like a great value proposition that compares favourably to the likes of other low-cost laptop vendors such as Medion, though Kogan is hitting a lower entry price. The 15.6in screen, which has a native resolution of 1366x768, gives the Kogan laptop relatively large dimensions (374mm long and 259mm deep), so it’s perhaps best considered as something for the home, rather than on-the-go, though it has a stated weight of 2.1kg and a stated battery life of 9.5 hours (from a 4-cell 32 Watt-hour pack). An Intel inside the engine room provides the processing power, and it’s a Pentium N3540 model that was released just this year. It has four cores and a speed of 2.16GHz, and it should be fine for all the everyday office and Web tasks that you want to throw at it. Graphics are also handled by this CPU. Surrounding the Pentium is 4GB of DDR3L (low power) RAM and a 500GB, 5400rpm hard drive. Around the edges, Kogan lists the Atlas X1510 Laptop as having an HDMI port, a VGA port, a Gigabit Ethernet port, one USB 3.0 port, three USB 2.0 ports, a headphone port, a microphone/line in port, and a full-sized SD card reader. Impressively, it’s also listed as supporting 802.11ac Wi-Fi, and you get Bluetooth 4.0, and a VGA webcam. What’s not to like about a Kogan laptop that costs around $329 and offers a well-rounded configuration? Probably its build quality, but we’ll reserve judgment until we actually get our hands on one. For now, it looks like a good option for any of you who are in the market for an inexpensive laptop for the home. Kogan is also pitching it as a good model for students, even offering a $15 discount for Office 365 during the laptop's purchase.